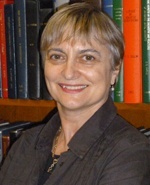 Frances Separovic is an outstanding biophysical chemist who is recognised internationally for her leadership in the field of biological solid-state NMR and membrane assembly. Frances is a pioneer in the structural studies of antibiotic peptides in model cell membranes and developed the technique of using NMR to study peptides in model cell membranes and developed the technique of using NMR to study peptides in aligned lipid bilayers, which is being used worldwide to study both the structure of membrane proteins and their effects on the membrane. Her innovative research and multidisciplinary approach has advanced our understanding of how peptides insert membranes and the application of solid-state NMR to a wide range of systems.